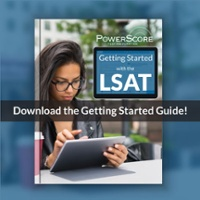 Each administered LSAT typically contains approximately 100 or 101 questions, and each LSAT score is based on the total number of questions a test taker correctly answers, a total commonly known as the raw score. After arriving at the raw score, a unique Score Conversion Chart is used for each LSAT to convert the raw score into a scaled LSAT score. Since June 1991, the LSAT has utilized a 120 to 180 scoring scale, with 120 being the lowest possible score and 180 being the highest possible score. Although the number of questions per test has remained relatively constant over the years, the logical difficulty of each test has varied. This is not surprising since the test is made by humans, and there is no precise way to completely predetermine logical difficulty. To account for these variances in test "toughness," the test makers adjust the Scoring Conversion Chart for each LSAT in order to make similar LSAT scores from different tests mean the same thing. For example, the LSAT given in December may be logically more difficult than the LSAT given in June, but by making the December LSAT scale "looser" than the June scale, a 160 on each test would represent the same level of performance. This scale adjustment, known as equating, is extremely important to law school admissions offices around the country. Imagine the difficulties that would be posed by unequated tests: admissions officers would have to not only examine individual LSAT scores, but also take into account which LSAT each score came from. This would present an information nightmare. The "Lowest Raw Score" column indicates the minimum number of correct questions necessary to produce the corresponding scaled score. The number in parentheses is the corresponding number of missed answers which produces the score in question. The difference between the conversion charts presented here is most telling at the higher scaled scores. For example, in order to achieve a 170 on the December 2016 LSAT, the test taker was required to correctly answer 90 of the 101 questions. On the other hand, a test taker attempting to achieve the same 170 just six months later on the June 2017 LSAT needed to correctly answer 92 of 101 questions. This difference in tests is supposedly the result of differences in the overall logical difficulty of each exam. Of further interest is the fact that as each scale approaches 150 and below, they become roughly the same. Implicit in this middle- and lower-score similarity is that these tests only differed at the upper levels of logical difficulty—that is, the level of difficulty of the hardest questions. The easy and mid-level difficulty questions on each test were apparently about the same, whereas the October 1997 LSAT apparently had more truly difficult questions or the questions themselves were inherently harder. Of course, it must be noted that differences in test difficulty and the order of questions produces a physical and psychological effect on test takers that cannot be measured without complete test statistics (LSAC does not release the exact statistical breakdown of student performance on each individual question). The percentile for each score is calculated by using test data from the last three years, not from any individual LSAT (note that the percentile table above is for June 2014- Feb 2017). Using the three-year pool of information provides LSAC with a stable and accurate percentile for each score. Otherwise percentiles could vary significantly from test to test as different groups of test takers performed better or worse. Historical analysis shows that percentiles do change from year to year, but only by minute amounts. Since percentiles are not calculated on a per test basis, each test taker does not compete against the other students taking the same LSAT. Instead, each test taker competes against the students from the three previous years. In fact, because of question pre-testing through the use of experimental sections, the conversion chart for each LSAT is supposedly set before the test is administered. Only minor adjustments are then made to normalize the test. The normalization yields a rough bell curve. The number of test takers in the 120s and 170s is very low, and most test takers are bunched in the middle, comprising the "top" of the bell. In fact, approximately 37% of all test takers score between 145 and 155 inclusive, and over 65% of all test takers score between 140 and 160 inclusive. These facts provide some explanation for the Score Conversion Charts examined earlier. For example, on most tests, to move from 170 to 171 requires getting just one additional question correct, whereas to move from 150 to 151 requires getting at least two and possibly three more questions correct. But this is justified since moving from 170 to 171 only moves the test taker up 0.6 percentile points (less than one percent), whereas moving from 150 to 151 moves the test taker up 3.8 percentile points. This extreme difference in percentile movement makes sense since there are obviously more test takers in the 150-151 range than there are in the 170-171 range. The percentile for 170 is also interesting because it indicates the true difficulty of the LSAT in general. Consider the December 2016 LSAT again. To achieve a score of 170 requires a test taker to correctly answer 90 out of 101 questions. At most colleges 90 out of 101 would probably yield a B+ or A- grade. Yet a 170 on the LSAT represents 97.5rd percentile, putting you into the top 2.5% of all examinees, which would generally conform to a high A or even an A+ on most college grading scales. Beginning with the June 1997 LSAT, LSAC began reporting a "score band" of roughly plus-three and minus-three points with each LSAT score. For example, a test taker with the score of 160 would receive a score band of 157 to 163. The intent of score banding is to shift attention away from the exact numbers and instead focus on the general range a test taker falls into. Since the standard error of measurement for the LSAT is approximately 2.7 points, the use of score bands is an attempt to more fairly represent the performance of LSAT examinees, and claims that your actual proficiency level will fall within the band approximately 68% of the time. Score bands appear for each individual score, and your average score (if you have more than one reportable score). Ultimately, this discussion of the LSAT scale does not change the inherent and obvious truth of the test: to score well you must answer questions correctly. However, understanding how LSAT conversion charts differ is important for assessing your score in the week after the test-that crucial period when you have the option to cancel. And understanding the LSAT percentile table allows you to more accurately assess your true position in the LSAT pool, and thus to some degree your position in the law school applicant pool. To learn more about the LSAT scoring scale, visit one of the LSAC-member law schools where summaries of LSAT validity and other research can be found in the library, or contact us for more information. Read our Frequently asked questions and answers about the LSAT test, scoring and Law School Admissions. In the days following each LSAT, students often worry about how their LSAT will be scaled. A more generous scoring scale can positively affect scores whereas a harsher curve can adversely affect scores.